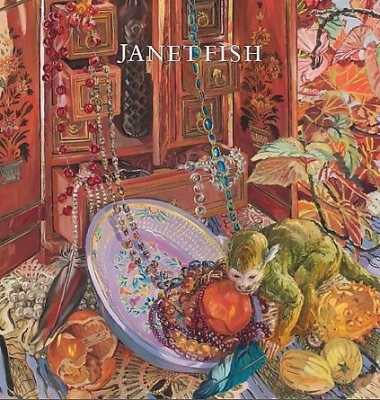 DC Moore Gallery is pleased to announce the opening of the exhibition Janet Fish: Panoply, which highlights major examples of the artist’s work from 1989 to 2008. Fish’s still lifes provide mesmerizing detail, and a captivating depiction of light and color, while hovering in a space between fluid painterliness and measured stillness. A catalogue with essay by Karli Wurzelbacher will accompany the exhibition. Fish’s compositions are carefully considered, often rearranged and modified over the course of days, until they “feel right.” Though she would incorporate more spontaneity into the arrangement of later works, the interaction of objects has always been paramount, and her paintings are first and foremost aesthetic creations. The subject matter, while engaging on its own, is secondary in many cases. Movement is derived from a viewer’s juxtapositions within the scene: natural elements with the domestic, or living creatures with the inanimate. Janet Fish was born in 1938 in Boston, but grew up in Bermuda, a places of bright light and intense color, to which she attributes her own fascination. Fish attended Smith College in Massachusetts, and received her Master’s in Fine Art from Yale University in 1963 at a time when the art school faculties focused on teaching Abstract Expressionism. She currently lives in New York City and rural Vermont. The landscape of Vermont, and the garden that she maintains there, often figure prominently in her paintings. Recent exhibitions include solo shows at the Huntsville Museum, Huntsville, AL and the Federal Reserve, Washington, DC. Works by Fish are included in the permanent collections of The Metropolitan Museum of Art, New York; the Whitney Museum of American Art, New York; the National Academy Museum, New York; the Museum of Fine Arts, Boston; the Farnsworth Art Museum, Maine; and the Art Institute of Chicago; among others.